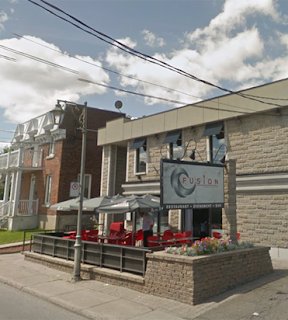 Sebastien Vena was initially hit and ran to take refuge inside the Fusion restaurant. But his killer followed and finished his victim with a bullet in the head, before leaving quietly. An eye witness to the assassination describes the shooter as calm and cool. "The killer came real quiet, real slow. The guy tried to move, but bang bang, four times, with a gun with a silencer. It was a hit, professional. Then he went out," the man said. "He looked at me but I could not recognize him. He was wearing a mask, a black balaclava. And that's it. He went out, he walked the other way. Walk in, walk out... this guy, it is not his first kill." The Sureté du Quebec is investigating an assassination in Laval. 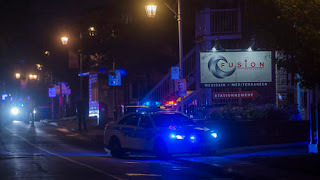 A gunman fired at a patron in the Fusion restaurant on Levesque Blvd., then fled. 46-year-old Sebastien Vena was taken to hospital where he died. Vena had convictions for attempted murder, assault, and trafficking. 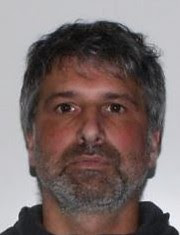 He had ties to the Hells Angels in Mascouche and Sherbrooke.